After a long wait from Apple, iPad 2 is here. Previous Version of iPad has gained a lot of popularity and appreciation in the market. Now the time came for Next Generation Tablet, iPad 2. Yesterday in the Apple’s event, Apple has announced the Apple’s iPad 2, which is known to be as the second generation of Apple’s Vulnerable Tablet iPad. 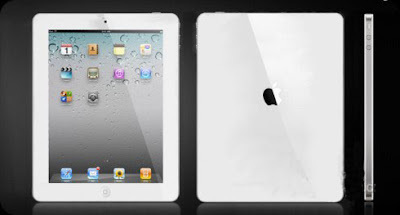 Apple iPad 2 is more powerful, lighter & Smarter than the previous iPad. iPad 2 is improved in Design & Hardware. In comparison with iPad, iPad 2 is thinner & even thinner than iPhone 4. How Amazing? It weighs only 1.35 pounds. The major change which has been brought in the iPad 2 is its Accelerating 1 GHz Apple A5 Dual Core Processor which provides 6X the CPU & 9X the GPU Performance of its predecessor. iPad also supports HDMI output with Separate Cable attachment and sported with Front & Rear Camera. iPad battery performance is same as with the previous iPad i.e. of 10 Hours (apporx). The Price of Apple iPad 2 is varying from $599 to $829, because of multiple variants of memory & features.